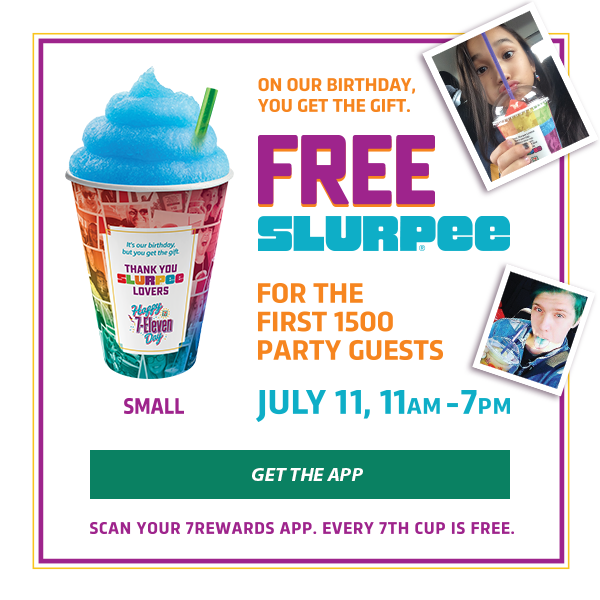 Blog: July 11, 2018 is Free 7-11 Slurpee Day! July 11, 2018 is Free 7-11 Slurpee Day! Pop into 7-11 stores for a free small slurpee from 11am - 7pm.